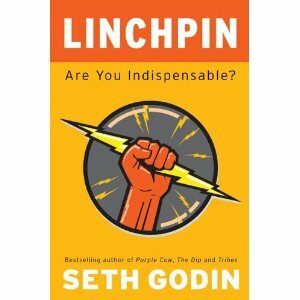 In his current blog post, Moving On, author Seth Godin announced that Linchpin: Are You Indispensable? will be the last book he publishes in a traditional way. I’ve long believed that people who have something important to say and a defined audience to speak to are best served by maintaining control of their intellectual property and choosing the most effective means of distribution. For many authors, there remains the longing for a traditional stamp of approval, but the fact is, readers buy content and the Internet has leveled the playing field in a way that allows authors to reach a target audience as never before. The twenty-first century stamp of approval is the consumer’s dollar, rather than a publishing house’s approval. This is a power shift that leaves authors in a far better place as long as they’re willing to adapt to the new reality and learn what they need to know. As I’ve written in previous musings on the subject, I believe it’s easier for non-traditionally-published non-fiction to find an audience than for fiction, but even that is changing. When someone as pivotal as Seth Godin steps away from traditional publishing, it’s clear that the market has spoken. 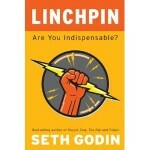 And now, I’m going to read Linchpin .